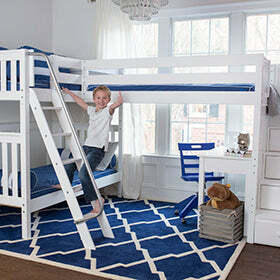 Maxtrix loft beds are the perfect solution for maximizing space! Add storage underneath your bed or a desk for a study space. You can even add fun curtains to create a fort, castle or play house! The options are endless with loft beds.